Plastic carry case/clipper with 3 pin UK plug/Andis “Ultra Edge” #10 (1.5mm) blade set/4 attachment combs – 3/6/10/13mm/tube of oil/grease/instruction leaflet/grooming guide leaflet. Perfect combination for the pet owner, complete with detachable blade. Good value product from Andis. 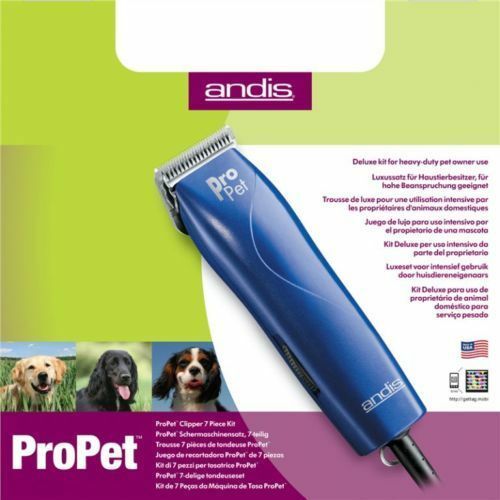 For the pet owner wanting to be independent and clip their own dog when they wish Andis have produced the ideal detachable A5 type blade using clipper which allows the user much more clipping scope than other clipper/trimmers of either fixed blade or adjustable blade type. 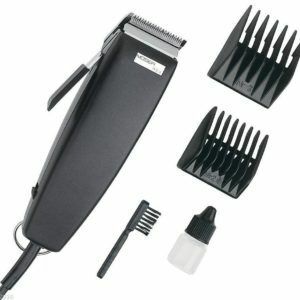 This is a good compact semi-professional type pet clipper ideal for many husbandry clipping tasks on various dog breeds. 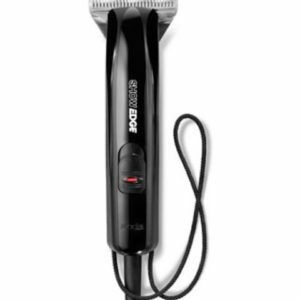 Owners of breeds that require more extensive clipping, such as Spaniels, Poodles and Terrier breeds might find the more powerful 35watt Andis AGC single speed, or the AGC two speed models more suited to their purposes.. The MBG Mk II with the ability to fit detachable A5 type blades, as distinct from the “screw on” type blades, means that you can achieve the same quality of finish as when you take your dog to a professional grooming parlour, but at a more affordable cost. The MBG2 has no real competitor in its class and price. Good design features including a comfortable slender handpiece gives a combination of balance and lightness. Blade attachment is easy to operate, smooth and crisp. Under prolonged use the 20w motor remains cool running, with an acceptable noise level and very little hint of blade vibration. The on/off switch is well placed for easy operation in an emergency. 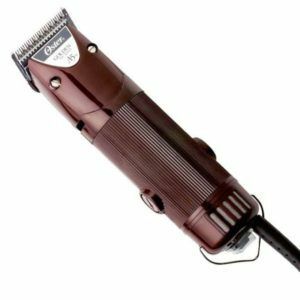 The Andis blade range offers probably the most comprehensive coverage currently available for most grooming situations. . Altogether this a very nice machine which will more than fulfil the needs of the average domestic pet owner seeking to keep their animal presentable whether for health or fashionable purposes and as such is strongly recommended. Andis have filled a “sort after” slot in the market place for those who do not want to spend a vast sum of money, but want to be certain they are investing correctly in a product that is suitable for the job in question! 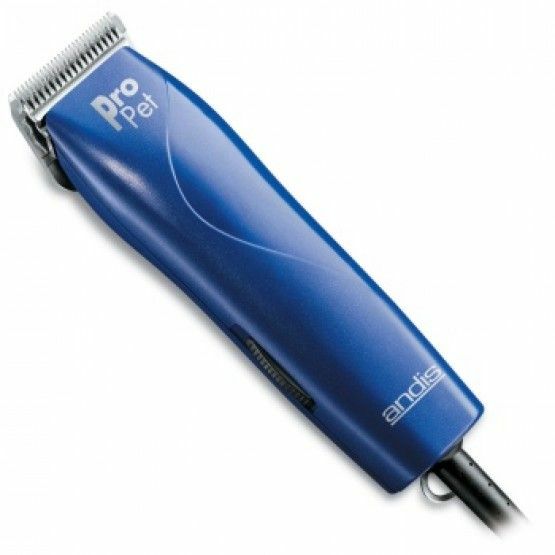 This clipper takes blades from the AESCULAP/ANDIS/MOSER/OSTER/LAUBE/THRIVE/WAHL detachable A5 type blade ranges.